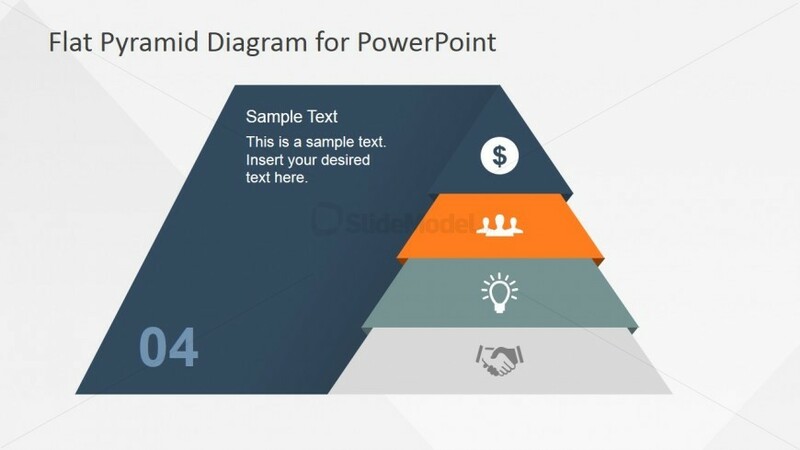 This PowerPoint slide shows a four step flat pyramid diagram for PowerPoint. 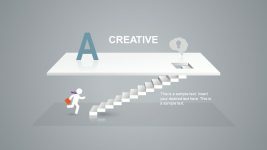 The four steps are separated by segments filled in varied colors, light gray, dark gray, orange, and dark blue. 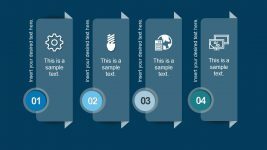 The flat pyramid is found in a trapezoidal shape, filled in the same color as the top segment and labeled with the number 04. 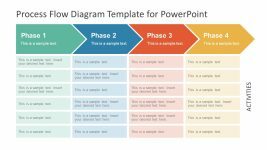 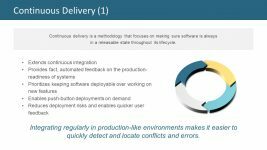 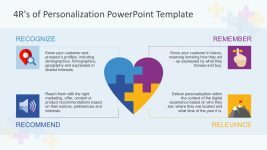 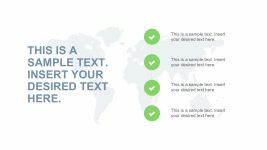 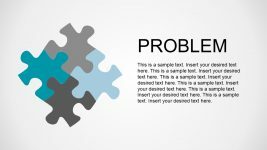 A text placeholder is also found in the trapezoid PowerPoint shape, where a description may be placed, as the PowerPoint slide may be used to explain the top segment in detail. 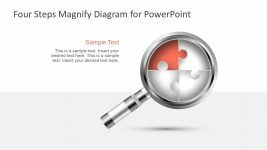 All PowerPoint objects are 100% customizable to fit the presenter’s preferences and needs.